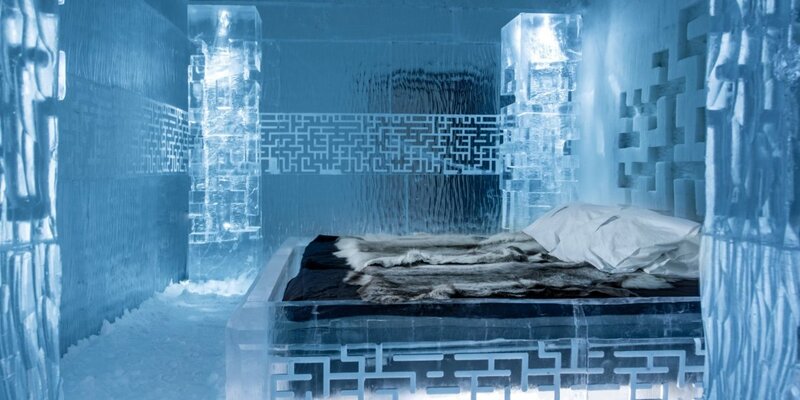 An overnight at an Ice Hotel is a must for the modern adventurer. In Scandinavia you will find several ice hotels and snow hotels, including the world's first and largest ice hotel located in Jukkasjärvi, Sweden. In Norway we can offer Kirkenes Ice Hotel and Sorrisniva Igloo Hotel in Alta. The hotels made of ice and snow are built every winter season, with the exception of Ice Hotel 365 which is a permanent ice structure located next to the seasonal ice hotel in Jukkasjärvi. The ice hotels display beautiful ice sculptures and comfortable beds.